As applications to full-time MBA programs have waxed and waned in recent years, there is understandably quite a bit of speculation about the future of the degree. While full-time applicants might be dipping in the U.S., the explosion of part-time programs making the business school experience more accessible to a whole new swath of people. We’ve already taken a look at the best part-time offerings in the Midwest and DC metro, but which programs come out on top when it comes to the Northeastern U.S.? The NYU Stern School of Business’s Langone part-time MBA rates as the fourth best part-time MBA program by U.S. News and World Report. Students can also expect the Langone LAB, a concentrated one-day orientation program that connects incoming participants with classmates, professors, clubs and other opportunities. The current tuition rate for the NYU Stern part-time MBA is $2,228 per credit. Over the course of the required 60 credits, this total comes to $133,680; which does not include the cost of living on campus for those opting to live near the university. The University of Massachusetts Amherst Isenberg School of Management, one of the more underrated business schools in the crowded academic metro, offers a customizable part-time MBA to fit the student’s preferred focus, available in one of six areas: business analytics; entrepreneurship; finance; healthcare administration; marketing; and sports management. Classes can be taken either completely online (Isenberg’s online MBA was first in the country, founded in 2001) or in-person at the Amherst campus. To help expedite the education process, part-time MBA applicants can even choose to take up to two courses during the application process. 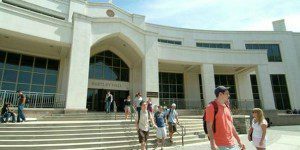 In addition, the UMass Amherst part-time MBA tuition is among the most affordable in the entire Northeast, at a total cost of just $35,100 ($900 per credit). For the 17th highest ranked part-time MBA program in the entire U.S., the cost saving is hard to ignore. The Boston College Carroll School of Management’s part-time MBA program, ranked 28th overall by U.S. News & World Report, operates much like the aforementioned Amherst part-time program, with the option to take classes both in person or online. However, the entire program cannot be completed remote, with a maximum of 30 percent of classes available online. A staggering number of electives are available in the program: over 150 overall. Students can complete the program on a fairly flexible schedule, with the option to complete it in two, three, or four years. In addition, the BC Carroll part-time program is one of the only ones on the list that does not require GMAT/GRE scores for entry. The part-time FLEX MBA program at Lehigh University’s College of Business and Economics is geared toward working professionals who want more control over the pace of their MBA learning experience. Program formats include part-time, accelerated, and online. The ClassroomLIVE feature offers students the option to attend classes in-person, on campus, or in real-time online. Students can also opt to get their feet wet with an Executive Certificate as part of the part-time MBA track. Tuition for Lehigh’s Flex MBA program $38,700 for the full 36-credit program, with the current cost per credit hour at $1,075. Villanova School of Business, the 35th ranked part-time program in the country, offers part-time MBA students two distinct format options: The accelerated “Fast Track” program, and the “Flex Track” program, which offers evening, weekend, half-semester, and online course choices so students can work at their own pace. Tuition and the length of time to complete Villanova’s various part-time programs varies. The Fast Track program costs $1,190 per credit and takes 24 months to complete, while the Flex Track costs $1,065 per credit and typically takes three years to complete. However, the Flex Track can last as long as seven years.